Now you can set a custom opt-in for your website visitors. Add a different icon, message and different colors to the permission box. 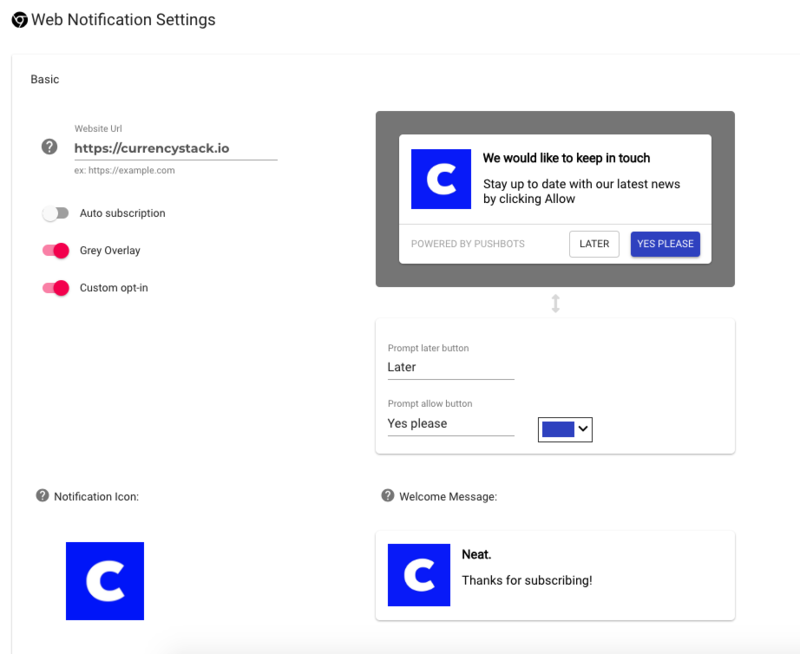 Custom opt-ins are believed to increase your opt-in rate for push notifications as they are more tailored to your audience and fits your branding better. Go to your app dashboard, go to the settings tab and choose Web.You can also edit your own custom welcome message and add overlays to your prompt.